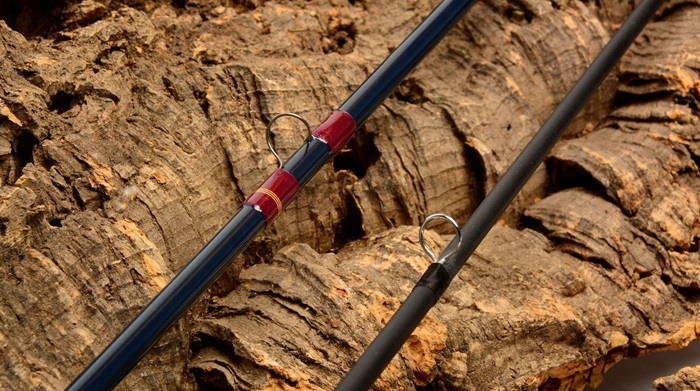 Find out what factors play a role in the great debate between snake guides and single foot guides on fly fishing rods. 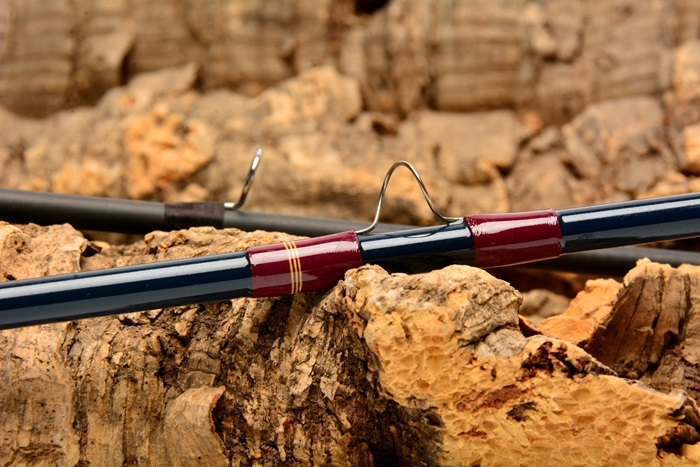 For rod builders, there is a reason behind each and every component on a custom rod. Having the luxury to choose your rod components is a big reason why many anglers decide to become rod builders in the first place. 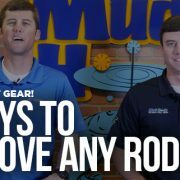 When you simply can’t find the perfect rod off the shelf, the best solution is to… Build it yourself! In custom rod building, selecting rod components is strictly up to you. So you can build rods that are all about performance, appearance, or in most cases, the perfect balance of both. 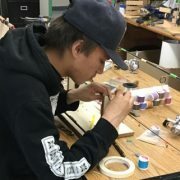 This means that part of the decision making process in rod building, is to clarify the tradeoffs between different components in order to choose what will perform best on your rod in your fishing application. Naturally, this creates many debates between many different components and unbiased opinions can become harder and harder to find. Thus, the topic of this blog is to shed light on the many arguments made about the type of running guides that should be used for a fly rod. Snake guides or single foot guides? Let’s get this one out of the way first and foremost. Casting distance is very important as many fly anglers know. If you can’t get the fly to the fish then what’s the point, right? But to put that responsibility solely on running guides is not only unfair, it’s simply untrue. There is a rumor out there that the double foot construction of snake guides stiffens up the blank and in turn, slows down the rod while casting. The truth is, this is more of a myth than a fact. Sure the snake guides have twice as many feet, but bringing its flexibility in question for casting distance is truly making mountains out of mole hills. 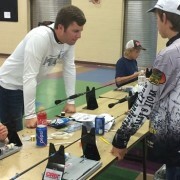 If you’re looking to get a casting boost from your running guides, the truth is casting proficiency is much more about practice and personal ability than what guides you use. This may seem obvious to some, but haven’t you ever heard that story about Lefty Kreh? Flip Pallot tells it best, but essentially, Lefty was speaking to a tough crowd and knew he had to earn their attention. In order to capture the crowd’s attention, he grabbed a fly rod from the front row and began taking out line. Then, he began feeding line through his fingers and false casting using only his two bare hands. Well that not only got their attention, it also provided a very important lesson for anglers and rod builders alike. 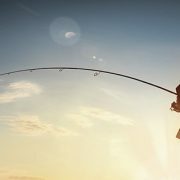 The lesson here is that putting casting distance and ultimately, casting skill in the hands of rod components, removes the angler’s role in casting and that role is actually what matters most. Weight is also a popular argument when it comes to deciding between snake guides and single foot running guides. The go-to statement is that twice the feet means twice the weight. But in reality, comparing the weight of the guides brings little difference. 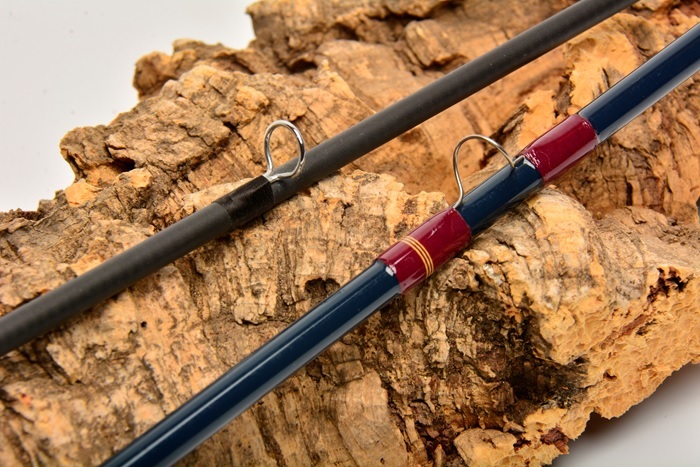 The weight difference actually comes from doubling the number of thread wraps and epoxy finish over the entire rod. With that said, this weight difference is so minimal that to make a final decision on running guides based on this argument alone isn’t very helpful. Now if you don’t want to wrap twice as many guide feet, that is an argument that is much easier to understand! Inherent in fly guides, is the need to pass fly line as well as the knots or loops that come along with it. 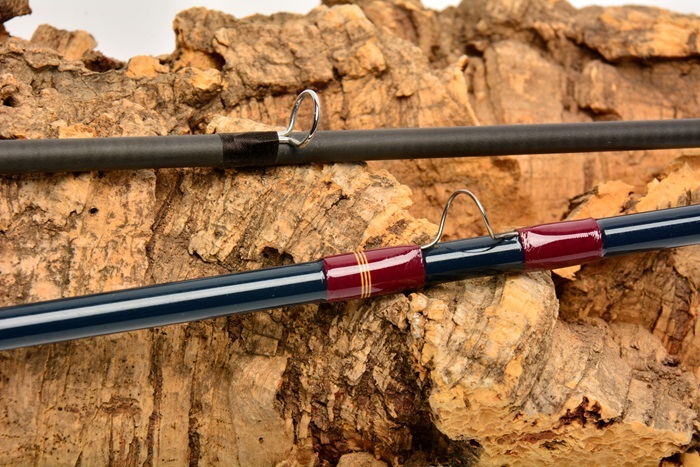 Especially on two-handed fly rods, connection loops are common and each one must pass through the guides effortlessly for a successful cast. When it comes to the point where these knots go from the stripper guide to meet the running guides, you need guides that will allow the line to pass through without snagging or catching along the way. If you use single foot guides, the inner diameter cuts down on the guides ability to pass these connection loops. So for fly guide selection in applications like this, it means that snake guides are a better and safer bet since the more open snake guide train can handle passing these knots and loops with more ease. In other words, snake guides are capable of passing larger knots so consider this factor when choosing running guides on your fly rod. If you’re fishing takes you to southern flats where the sun is beating down and the water is crystal clear, this may not be your section. But if you fish in conditions where temperatures drop and guides will ice up, you will definitely benefit from this discussion. Fly anglers that fish up north for trout, pike, musky and many other species, face conditions that those of us in the southern hemisphere barely even think about when it’s not Christmas day. Freezing or worse—below freezing—aren’t conditions every angler sees, yet there are those that brave these conditions for large parts of the year. These cold conditions don’t ruin the fishing and rather, if you are prepared, you can truly catch the experience of a lifetime. 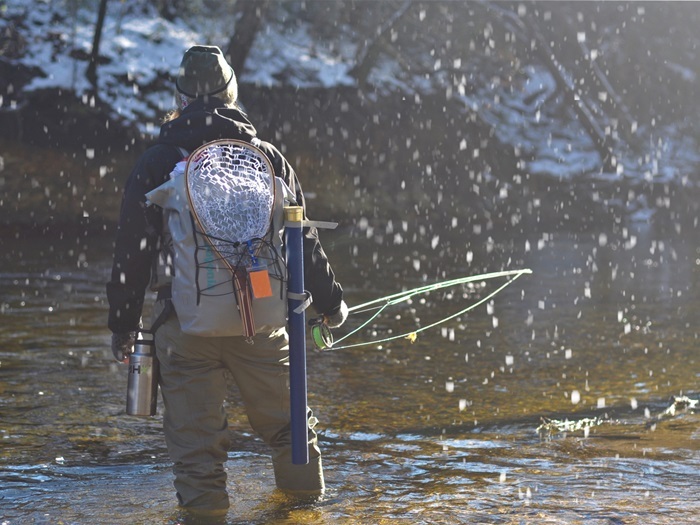 But preparing for these conditions goes beyond the many layers of clothes and into the components of the fly rod itself. Namely, running guides because freezing or below freezing temperatures mean these guides will ice over in no time at all. Speaking from personal experience, guides icing up is comical after the fact, but in the midst of freezing weather, it’s a much different story. In those temperatures, you are obviously committed to fishing so the hold up of frozen guides can be particularly annoying. Both snake guides and single foot runners will ice up in freezing temperature, however, clearing ice off of single foot guides is more frequent and more time consuming than with snake guides. It is much more frequent with single foot guides because it has a smaller inner diameter that doesn’t take much time to ice over, which then freezes the fly line in place. due to the shape, the frame of snake guides may collect ice, but rarely will the ice buildup ever become enough to fully freeze up the fly line. Again, this is just something to think about when selecting running guides—if you don’t fish in severe cold, this concept won’t apply to you. 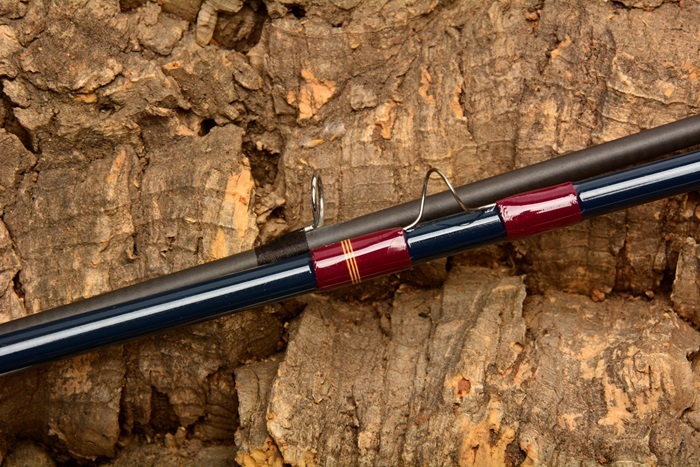 Most of the knowledge kicked around in this debate is opinion, so hopefully the situations detailed above will help guide you to the right choice when building your own fly rod. In the end, choosing the right components always comes down to your personal preferences and what’s proven to work in your specific fishing applications.